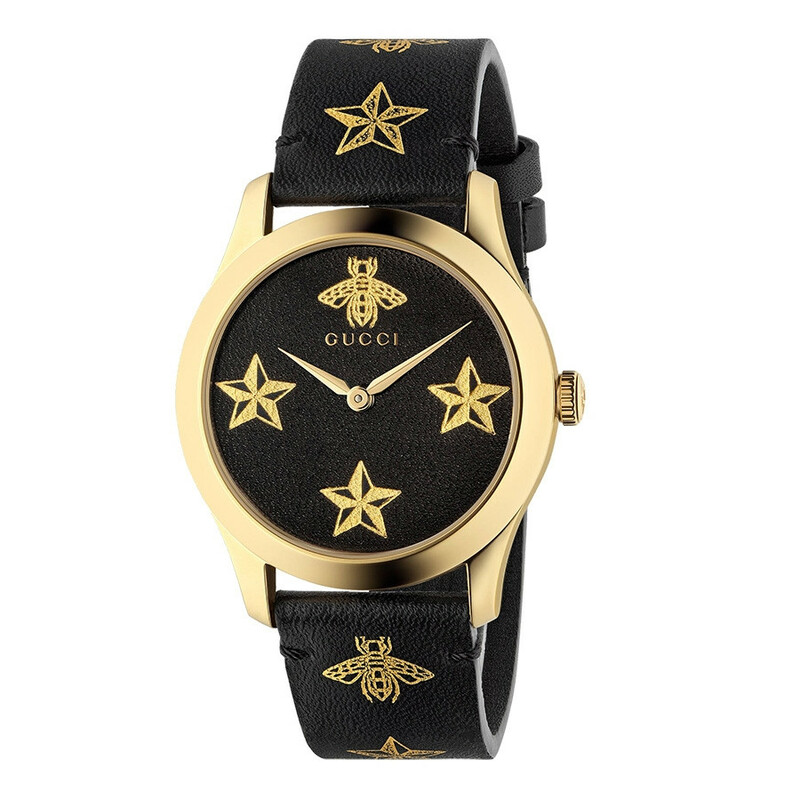 This gorgeous Gucci watch features a black leather strap with rotating bee and star motifs throughout the dial and strap. 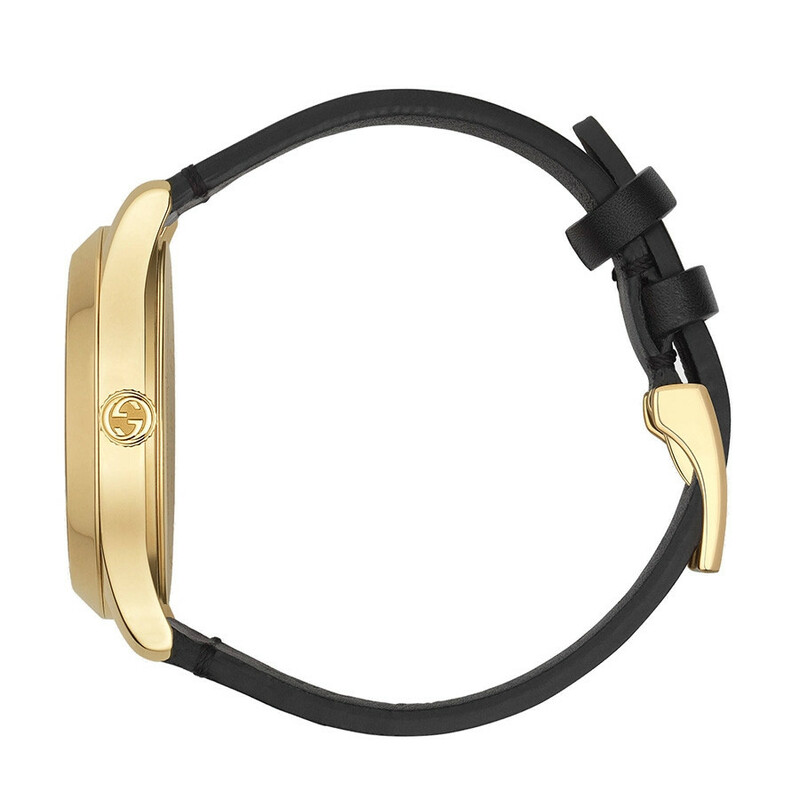 The black and gold colors together will prove to be a chic combination that can be worn by women and men. 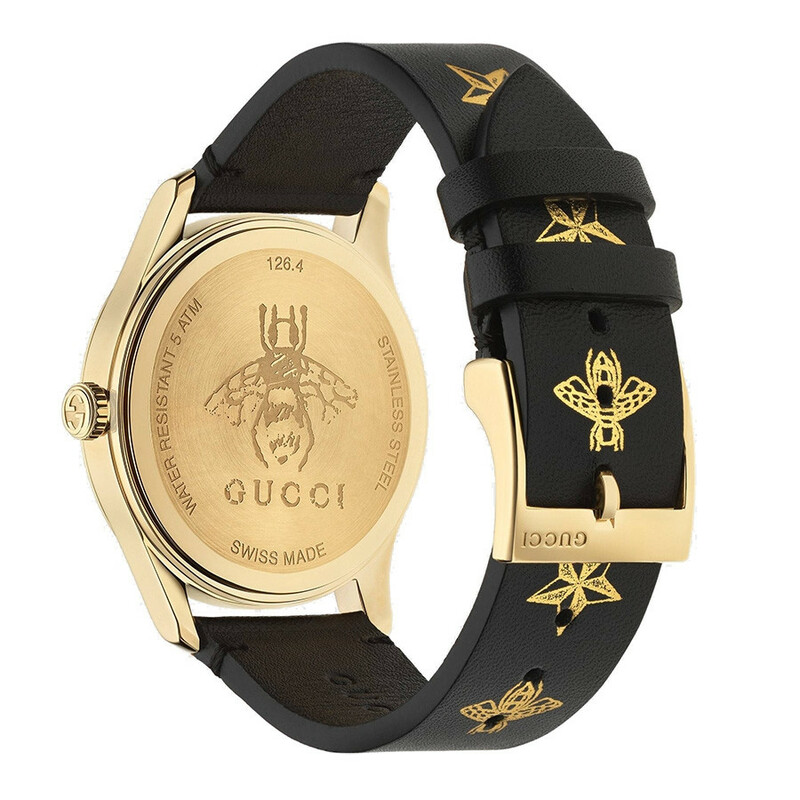 You're sure to be looking on-trend with this Gucci motif watch. Adjustable Band 6" - 7.5"